The first pump i tried gave me nightmares. I saw blood coming out and that was it. 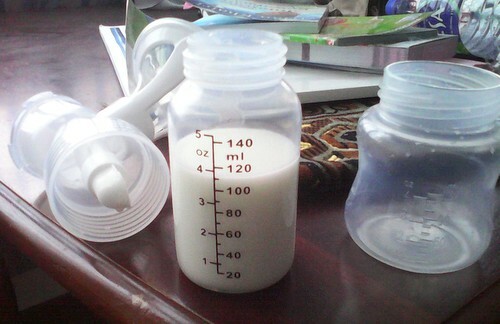 No more electric breast pumps. I currently have manual pump that I love so much but it's tiring depending on my health and energy. So I decided to try Lacte Solo. It suits me because i pump sometimes due to me still studying and am doing my final project. The pump just does the pumping for me. I can study, I can do my research and more. What I love about Lacte Solo is how adorable the design of the motor is. Just so cute and it's light weight too! That's a plus. This model is very affordable and suitable for new-mothers who are just starting to get used to a pump. It is also good for a temporary pump if your main pump is being sent for service or is being fixed. It's really worth it.